White Slatted Seat Resin Folding Chair - Wholesale Prices. WHITE SLATTED SEAT RESIN FOLDING WEDDING CHAIR - Weather Resistant - Lowest Guaranteed Price - Super Strong 1,000 lb Test - Stacks 35 High - UV Protected - Call for Quantity Discounts above 250 Chairs. White SLATTED Resin Folding Chair Dimensions. H - 30.75" - Back 17.5W x 15H" - Seat H 18.5" - Seat Size 15.5 x 15H" - Depth 18" Width 17.5"
White Resin Folding Chairs are stacking and come equipped with an interlocking feature that makes moving and storing easy. 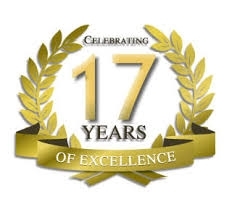 Our Resin Indoor/Outdoor Folding Chairs are strong, durable, weatherproof, UV protected. Always looks New - 5 Yr Replacement Warranty White Resin Folding Chairs are great for adding convenient seating to your next gathering, each high-quality resin folding chair is durably constructed to ensure safe, non-wobbling comfort. References since 2001. 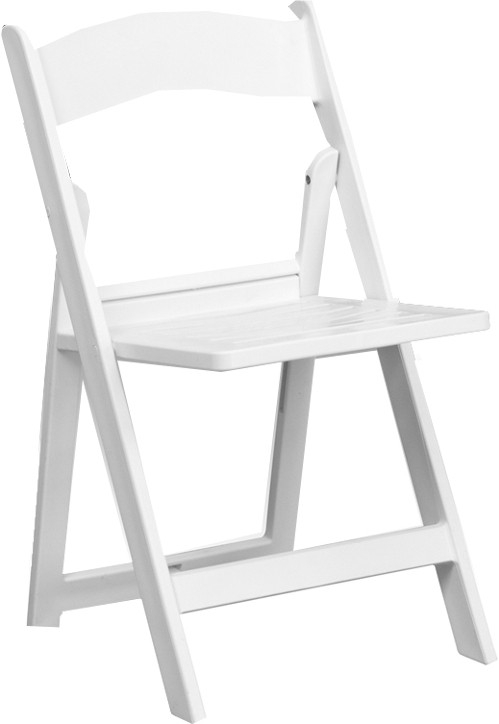 Wholesale SLATTED White Resin Folding Chair has a 1,000 lb. weight capacity so that you can be assured that it will accommodate any function. Wholesale Resin Folding Wedding Chairs are constructed using premium UV stabilized resin construction and is anti-static. Wedding Resin Chairs have a padded seat which provides for more comfortable seating as well as an elegant look. The wide bases prevent the legs from sinking into the ground.